A look at the principal filming locations used for Daniel Craig’s first appearance as 007. 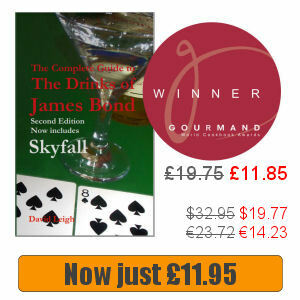 The plot of Casino Royale (2006) sees James Bond travel to locations such as Madagascar, The Bahamas, Montenegro and Venice, and required a number of weeks on location in addition to the studio work. Principal photography for Casino Royale commenced on January 31st 2006, and ran all the way through to July 21st, with the principal studio work undertaken in the Czech Republic in order to cut costs. 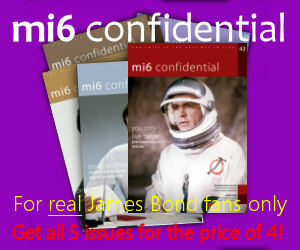 The film did return to Pinewood where an elaborate set was constructed on the enormous 007 stage; however, a week after filming had wrapped the famous sound stage burned to the ground in a massive fire, the second time it has happened in its history. Luckily there were no casualties and the film’s schedule was unaffected. Karlovy Vary, formerly Karlsbad or Carlsbad, is the largest spa town in the world and in Casino Royale is used for scenes set in Montenegro where Casino Royale is located. 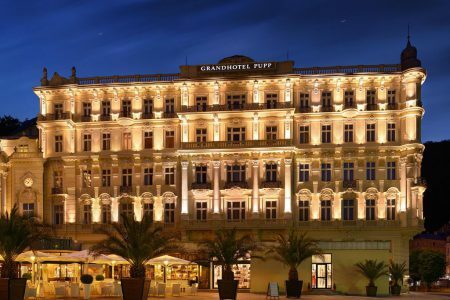 Bond and Vesper stay at the Hotel Splendide, in fact the Grandhotel Pupp (see photo, top). New Providence is one of the most populated islands in the Bahamas and and island used in several Bond films before Casino Royale. Several sets were constructed on sites at Coral Harbour, used in the film to double as Madagascar. Also close to Coral Harbour is Albany House, an estate recently acquired by golfers Ernie Els and Tiger Woods. To the north-east of the island is Paradise Island where you can find The One & Only Ocean Club, which also appears in the film. Millbrook is owned by General Motors and consists of several circuits; the main test tracks are the picturesque hill route complete with gradients and tight bends; a banked high speed circular test track; and handling test circuits. The first track is constructed like a winding mountain road and is almost certainly where the Aston Martin was rolled in the film. As well as appearing in Casino Royale, Dunsfold Aerodrome is home to the Top Gear test track. Constructed in 1942, the airbase was used by the Royal Canadian Air Force and later the RAF. The airfield was also to be used during the Berlin Airlift in 1948. While the most obvious location used in Casino Royale is Venice, where Bond arrives with Vesper about a yacht, it is also where he recuperates after being rescued from Le Chiffre (La ke Como) as well as providing the backdrop to Bond’s showdown with Mr White (Villa Gaeta).